Update: Graves has added 10 more tracks to the Tomb Raider: Additional Music collection on SoundCloud, a total of 77 pieces now spanning over 3 hours. This release includes musical rarities from the "Vertical Slice" of Tomb Raider - a point where the game's stylistic progress was solidified in-studio - some of which were included in the Final Hours of Tomb Raider. 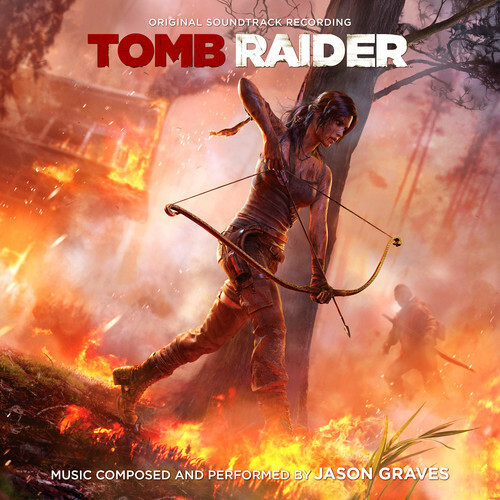 Update: As an unprecedented gift to fans, composer Jason Graves today publishes the entire Tomb Raider (2013) cinematic score; 36 tracks spanning 53 minutes of the game's structured cut-scenes. Several cues are unused in the final product, including the soundtrack to the original, unreleased ending of Tomb Raider, "Killing Sam". The tracks have been added to the Tomb Raider - Additional Music collection via Graves' official SoundCloud, now totalling 67 tracks at two and a half hours. The content now consists of 31 tracks totalling an hour and 42 minutes. Be sure to thank the composer for this unprecedented fan treatment via Twitter! Update: Jason Graves has added a further previously unreleased 45 minutes (18 tracks) to the Tomb Raider: Additional Music collection on SoundCloud. The material now spans 1:25:34 over 26 tracks! Update: Exclusive tracks Hunted & Scaling the Mountainside have been added to the set, which now includes 7 additional tracks from Tomb Raider at a total running time of 27:50! The album has been renamed as "Tomb Raider - Additional Music" to reflect this content addition, with the new description: "Tracks I composed that didn't make it in the final game, weren't released on the final soundtrack or were used in the trailers..."
Today BAFTA-winning composer for the upcoming Tomb Raider reboot, Jason Graves, published a "Tomb Raider Trailers" album via his SoundCloud page. The package consists of all the music he wrote for the specifically scored advertisements thus far. Tomb Raider Trailers includes the "Turning Point" CGI trailer score in it's entirety, entitled Alone (2010), as well as soundtracks to the "Crossroads" (2011) and "Survivor" (2012) trailers and the "Survival Guide" featurette. It should be noted that the majority of Crossroads composed by Graves was not actually used in the final corresponding trailer; licensed trailer score was opted for instead. Graves promises to update the set accordingly as more trailers are released. Tomb Raider is set for launch March 5th, worldwide, on Xbox 360, Playstation 3 & PC. Stay tuned!